The firm is seeking as much as $7bn for its eighth flagship private equity secondaries fund, Secondaries Investor has learned. Kumber Husain joins global head Mark McDonald and EMEA head Daniel Green as part of an ongoing secondaries rebuild. Deals linked to Asia-Pacific made headlines in a year when deal volume and fundraising in the region flatlined. New York-based Sean Brenan and Brian Musto are part of more than 500 promotions at the bank. 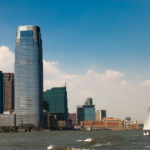 The secondaries veteran's move to the role of senior advisor comes after several other changes in the advisory business.